DISCLAIMER: All opinions in this column reflect the views of the author(s), not of EURACTIV.COM Ltd.
Europeans – or at least most of them – are slowly coming to terms with a reality they have refused for too long to acknowledge – China is not just an economic partner. The European Commission has finally conceded – it is a “strategic competitor” and a “systemic rival”, writes Harry Nedelcu. Harry Nedelcu is a policy associate at Rasmussen Global. EU member states have by and large fallen in line in recent Council meetings in their newfound realism about strategic investment by Chinese state-financed enterprises, network security, and takeovers of European technological know-how. The message is clear – it is no longer exactly business as usual with Beijing. This is why in light of the EU-China Summit today, Beijing will go above and beyond to give an impression of business as usual. Meanwhile, despite all the change of heart from the EU, many Europeans will be tempted to play nice; and not rock the boat too much. China is still seen by quite a few as a potential partner, if only it were to reform and become a little bit more open. It is becoming clear Beijing has no intention of doing so anytime soon. Europeans should stand their ground and stay united. Showing tough love now will pay off in the future if they ever hope to have better relations with China as equal partners; instead of lapdogs. Already some cracks in European unity are showing. 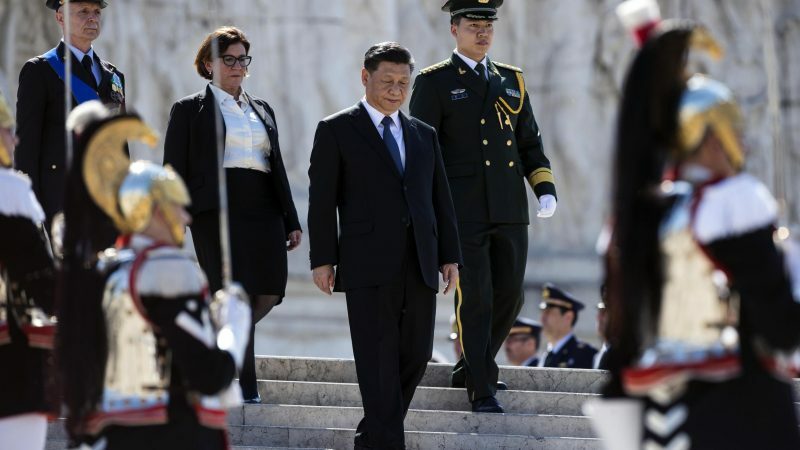 Xi Jinping’s recent European trip was welcomed quite differently in Paris and in Rome. The French rallied behind a united Europe and stood firm. The Italians, who were once at the front of the pack raising the alarm on China, rushed this time to sign up to China’s Belt and Road Initiative – courtesy of the current populist government. Beijing often plays countries against each other. South versus North; East versus West. They have managed to use Greece to highjack EU’s common position on human rights violations in China following a major acquisition of a Greek port. And the same goes for Budapest and the EU’s position about the South China Sea following promises to invest in Hungary. Europeans, however, must put petty short-term interests aside and see the bigger picture in front of them. China’s increasing economic footprint in Europe is not about Chinese private enterprises getting the best value for their buck; it is about using state-owned Chinese enterprises and their economic footprint in Europe to wield political influence. This is a blueprint that China is employing in Asia, Africa, and elsewhere. Whatever their quarrels among themselves are, reluctant European capitals will at one point need to understand that it is not worth letting the fox guard the henhouse. Secondly, Europe must stop seeing China solely through an economic lens. China is animated by a long-term strategic goal to assert not just its economic but military and political influence. Beijing’s increasing sabre rattling in the South China Sea and especially recently in the Taiwan Strait have raised the alarm in D.C. and other capitals in the Pacific. Europe, on the other hand, has been sitting on its hands when it comes to an open Indo-Pacific region – a concept originating in Japan and US, which is also an alternative to China’s own Belt and Road Initiative. Europe, however, has a chance to exert some soft-power, call out China’s aggression, and call on Beijing to sit across the table with Taipei, for instance, rather than send its fighter jets into its airspace. In the long run, Europeans would be wise to rethink their own role in the Indo-Pacific region a bit more carefully – how to forge deeper ties, for example, with like-minded states in the region – U.S., India, Japan, Taiwan; and how to stay plugged in with yet another power with interests in the Indo-Pacific, the UK. Especially after Brexit. China will seek diplomatic niceties, joint declarations, smiles, and pictures at today’s summit. Europe has no reason to be smiling – so it shouldn’t.